Learn to manage your risks of CFD transactions with advanced order types on POEMS 2.0, POEMS Mobile and POEMS Mercury. Here are some examples of how the different order types can help a client maximize returns and minimize losses. Definition: A limit order is an order to buy or sell at a specific price or better. A buy limit order can only be executed at the limit price or lower, and a sell limit order only be executed at the limit price or higher. A limit order is not guaranteed to execute. The buy stop-limit order is triggered when the stop price hits $3.90. A limit order to buy the counter with a limit price at $3.95 will be submitted and will be executed at $3.95 or better. 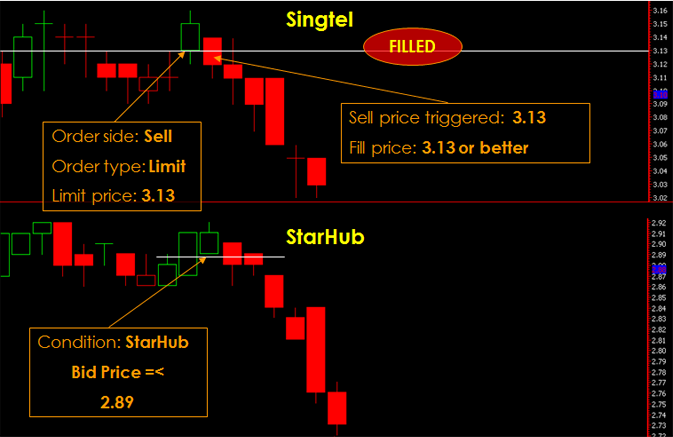 The sell stop-limit order is triggered when the stop price hits $3.85. 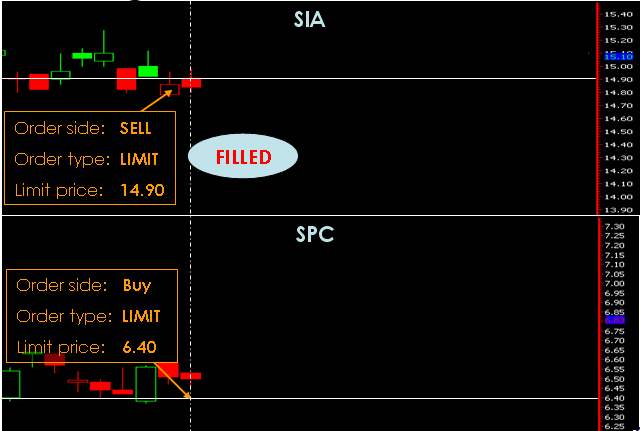 A limit order to sell the counter with a limit price of $3.80 is submitted and will be executed at 3.80 or better. The buy stop-limit order is triggered when the stop price hits $3.90. A limit order to buy the counter is a limit price at $3.95 will be submitted and will be executed when the market price hits $3.95. 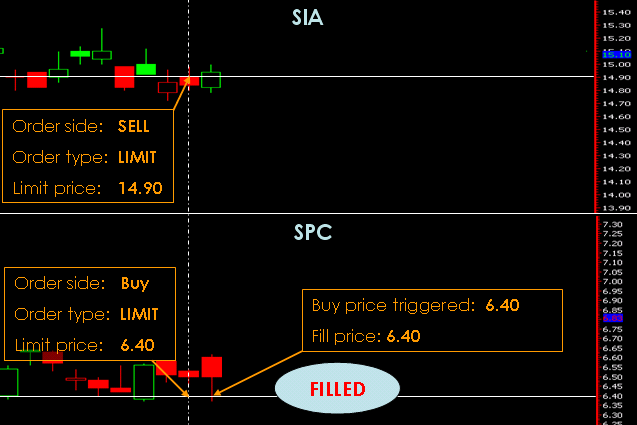 The sell stop-limit order is triggered when the stop price hits $3.85. A limit order to sell the counter with a limit price of $3.80 is submitted and will be executed when the market price hits $3.80.